DSI Is Looking For 300 Experienced Gun Owners To Become Members Of The Defender 300. SWAT caliber - Individual and team training courses, plans, resources. Training plan - Online 12 month detailed elite level training plan. Discounts - Individual and team tactics courses. Commissions - Student or client referrals. Resources - Creating a community distributed security network. SWAG - Vinyl morale patch and bumper decal. Apply to invest in and join the DSI private defense cadre. Defender 300 is for gun owners dedicated to furthering their own tactical training while introducing family, friends, and community to distributed security. Applicants selected to become Defense 300 members gain exclusive access to the most comprehensive tactical training resources worldwide AND they get a seat at our table. Members get a share of our revenue as motivation and reward for furthering their training and the training of those in their community. A percentage share of Distributed Security, Inc. revenue. SWAT calibre individual and team training courses, plans and resources. Training plan. Online 12 month highly detailed elite level 3 gun + tactics. Discounts. Individual and team tactics courses. Commissions. Student or client referrals. Resources. Creating a community distributed security network. SWAG. vinyl morale patch and bumper decal. There are a couple of steps you need to go through to become a Defender 300 member. First, click the green invest button at the top of the page. There you will create an investor account. Then subscribe to the Distributed Security, Inc. Defender 300 offering and deposit your investment with the escrow agent. This shouldn’t take you more than ten minutes. Second, fill out the questionnaire application. Once we are notified by the escrow agent that your deposit has been received, you will receive an email from Distributed Security, Inc with a private link to our online questionnaire that you will need to fill out. This 30 question application will take you just a few minutes to fill out. The purpose of the questionnaire is to allow us to learn how much experience you have with weapons and your level of participation within your local community. Remember, we’re looking for 300 highly committed experienced gun owners to further their own tactical training while furthering DSI training within their community. Once your application is accepted your credentials as an official member of the Defender 300 will be created and emailed to you. You will be able to begin training and interacting upon receipt of your credentials. This process for most applicants will take 24-48 hours. Distributed Security, Inc. is a private defense firm. 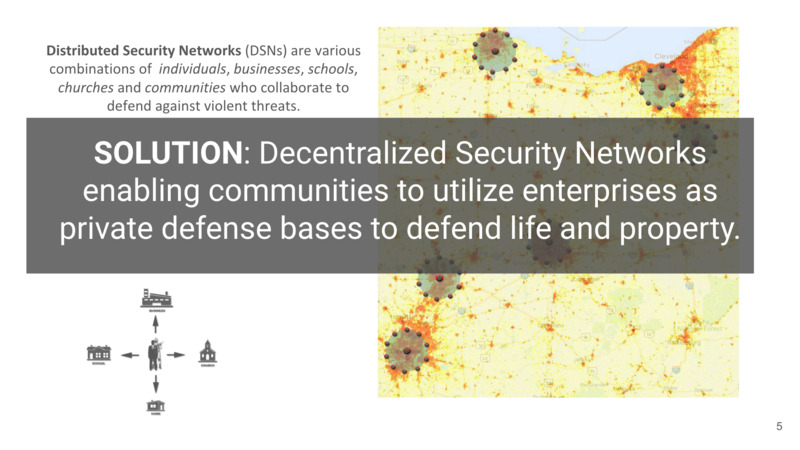 We are the creators of distributed security networks that enable enterprises to develop private defense bases and operate private security forces capable of defending immediate community assets. DSI offers enterprises a turnkey package of services including infrastructure, training, provisioning, and outsourcing. Learn more about our business below. Current threats are rapidly and unpredictably evolving, driven by polarization between religions, lifestyles, races, and economic systems. This accelerating polarization is setting the stage for unprecedented violence and upheaval, weakening the rule of law and civil conduct. 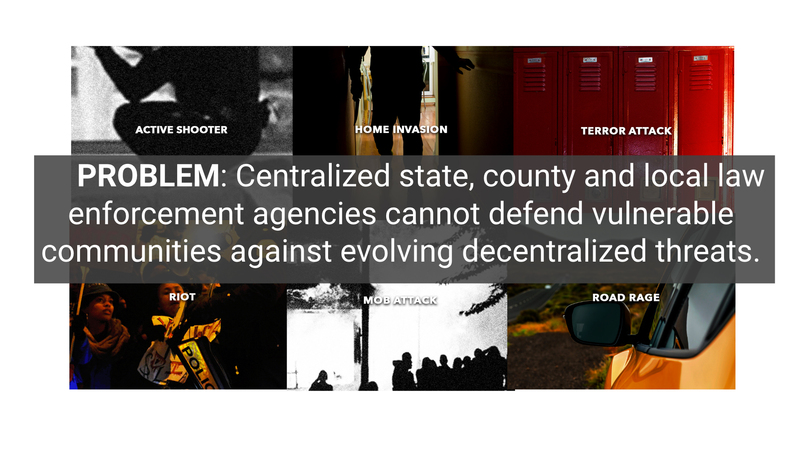 The government institutions that we have come to depend upon for security and civility will not provide the level of security and civility that we depended upon in the past, nor are they suited to provide security from decentralized threats. Smaller enterprises in vulnerable communities are especially exposed to decentralized threats. Because they are the economic engines of local communities, smaller enterprises are uniquely incented and positioned to serve as a “base” for immediate community defense. DSI offers a turnkey package of solutions targeted at smaller enterprises encompassing infrastructure, training, provisioning, and outsourcing for smaller enterprises concerned about violent threats to their employees, property, assets, and community. DSI was founded in 2010 by a former active duty Marine and security consultant operating in the Middle East, and a competitive strategist and expert on maneuver theory. A third founder was added to the team in 2014. There are no outside investors nor is there any debt in the company. The company has developed a significant body of intellectual property since its founding and just recently starting promoting its offerings. As threats continue to grow in intensity and frequency, enterprises will seek security solutions that go beyond traditional outsourcing to local security guard firms or allowing on-premise concealed carry. Smaller enterprises, schools, churches, and communities are looking for security solutions that allow employees, administrators, teachers, parishioners, officials, and citizens to provide for their own active defense. The magnitude of this opportunity is directly related to the real and perceived threats facing these organizations and ongoing developments in Europe. As a benchmark there are about 300 million guns in the U.S. held by 100 million gun owners. Prior to purchasing a first gun, most had some form of instruction, formal or informal. After the purchase, approximately two‐thirds of first‐time gun buyers obtained some form of gun training. DSI operates across three industries; firearms training, private security and private military. There are a total of 129,817 gun dealers in the country, which include 51,438 retail stores generating about $3.1 billion in total revenue. The NRA dominates the low-end firearms training industry with its introductory and administrative courses offered via its 112,000 instructors and estimates about $800 million in annual revenues generated by its instructors. The security guard industry is populated by 8,000 competitors, with the top 4 competitors controlling 80% of the industry. Allied Barton, G4S (Wackenhut), Securitas (Pinkerton), and U.S Security Associates are the dominant players. Combined they do approximately $20 billion annually in revenue. The private military industry is approximately $100 billion in size and dominated by several large scale players at one end, many smaller, niche specialists at the other end. DSI attempts to position and operate at the top of these industries offering comprehensive solutions marketed at premium price points and margins. Portal. $19.95 to $89.95 per month memberships to our on-line defense academy. Manuals. $24.95. Seven print manuals sold individually and as a set. Courses. $150/4 Hour Module - Combative handgun, shotgun, and rifle. Certifications. $895 - Independent instructor certification program. Programs. $1,695 - $2,695. Programs for individuals, businesses, churches, and schools. Packages. $200,000 and up. Infrastructure. Training. Provisioning. Outsourcing. The DSI business model is a progressive ladder that migrates prospects from a fremium online entry point for new gun buyers up to a turnkey package of products and service targeted at smaller enterprises. The on-line membership portal is the initiation point for new members, students, and clients. The online portal is designed to engage and retain members, students, and clients in a manner that encourages them to increase their skills and rewards them for promoting the company’s offerings to their individual businesses, churches, and schools. The business model targets four market segments; prospective gun owners, new gun owners, experienced gun owners, and teams (business, church, school, etc.) who can move through a progression of courses, programs, and opportunities designed to increase their skill set and enhance their effectiveness. Randy Bartlett is Vice President - Tactical Communications and leads the development and instruction of all command and control technologies and infrastructure. 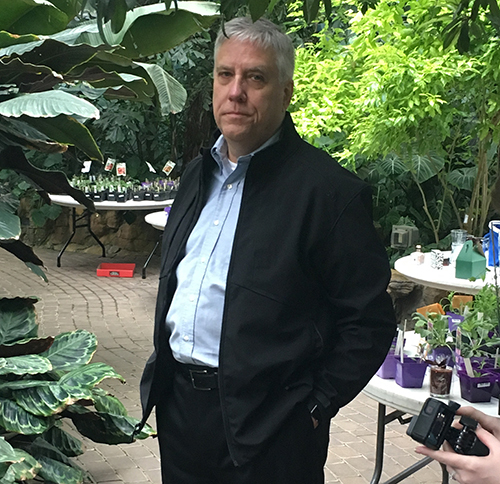 He has over 30 years military and paramilitary experience as a commissioned Infantry officer, non-commissioned officer, and contractor. Through various companies, he provided leadership and management for site and convoy security, medical evacuation, personnel recovery, expatriate evacuation, vulnerability analysis and gap assessment, and business continuity in several countries. As part of the withdrawal of conventional forces from Iraq, he was part of a four man team that located, accounted for, and developed protective plans for Americans and foreign nationals in Iraq. He also developed a security program for an infrastructure renewal and development project valued at $1B USD in Libya. Continue the build-out of the company’s digital platform. Accelerate the commercialization of all servicess. Establish the first Private Defense Bases. The Bonus has no relation to the securities investment offered and/or its value. The Bonus includes the ability to earn commissions. The ability to earn commissions, at no cost and without other conditions, is available independently outside this investment. If interested in this option, contact the issuer directly.